The Mountaintop Playwright Understandably Upset That a White Man Was Cast as Martin Luther King, Jr.
Katori Hall, the acclaimed playwright who wrote The Mountaintop--the 2009 play set in Memphis’ Lorraine Motel on the eve of Martin Luther King’s assassination—is rightfully angry that a director cast a white actor in the role of King. Imagine my surprise when, on Oct. 4, 2015, at midnight in London, I received an email from a colleague sending me a link to Kent State University’s amateur production of the play. The actor playing King stood there, hands outstretched, his skin far from chocolate but a creamy buff. At first glance I was like, “Unh-uh, maybe he light-skinned. Don’t punish the brother for being able to pass.” But further Googling told me otherwise. Director Michael Oatman had indeed double-cast the role of King with a black actor and a white actor for a six-performance run at the university’s Department of Pan-African Studies African Community Theater. Kent State had broken a world record; it was the first Mountaintop production to make King white. 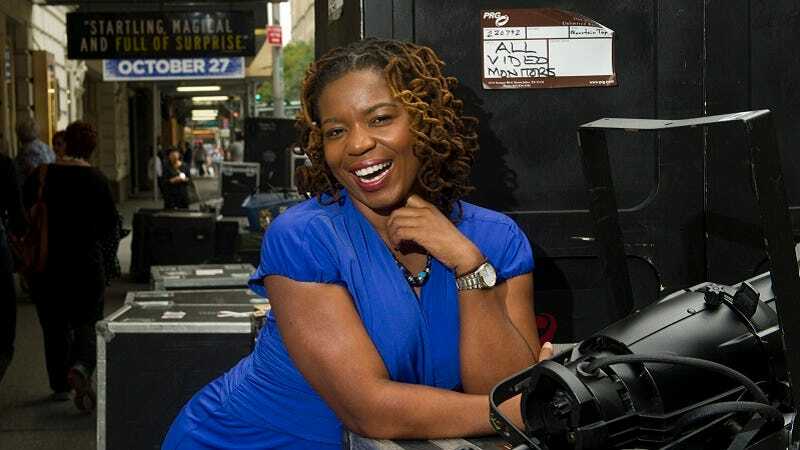 According to Hall, neither Oatman, who is the Creative Director of the African Community Theater, nor Kent State contacted her before making the decision, a choice she calls “disrespectful.” Hall learned about the decision only after the play had closed. In response to Kent State’s decision, Hall has updated The Mountaintop’s licensing agreement to indicate that the role of Martin Luther King, Jr. must be played by a black actor. Any other casting decisions now require Hall’s approval. Image of Katori Hall via AP.